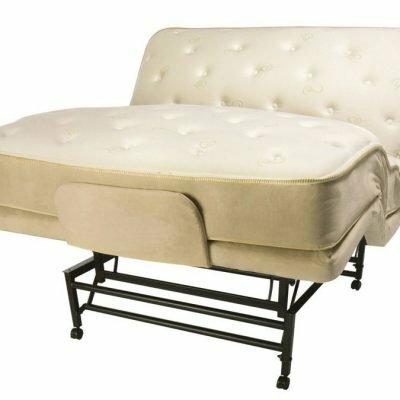 LEGGETT AND PLATT SPLIT KING AND FLEX-A-BED ADJUSTABLE BEDS OFFER THE VERY BEST IN IDEAL AND RELIABLE COMFORT. Our electric adjustable beds, with a variety of mattresses such as memory foam, are the absolute pinnacle of comfort and versatility. And, for those with special physical needs, as well as for those who are looking for a bed that allows owners to rest and sleep in a wide variety of positions, the Leggett and Platt adjustable beds offer better sleep and world famous reliability. In addition to our regular electric adjustable beds, our split king adjustable bed models offer the convenience of allowing one person to sleep in a fully reclined position while the other can read or watch TV in an upright position. And, our electric adjustable beds have the added benefit of full body massage and provide additional relaxation to help achieve restful and restorative sleep.